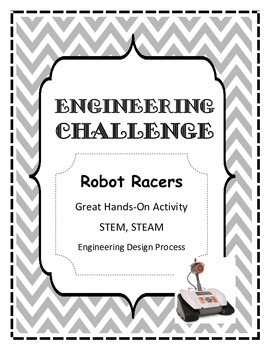 Robot Racers is a great hands-on activity that students of all ages will enjoy. 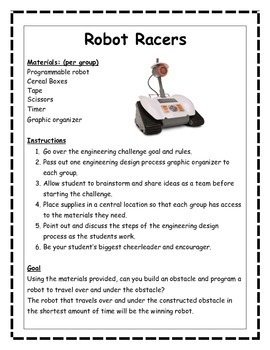 Our school has a class set of Recon 6.0 programmable rovers that I use for this activity- any programmable robot will work fine. Students love to use remote control cars for this! 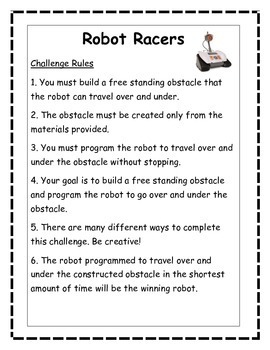 Students will create an obstacle and program a robot to go over and under the obstacle. Teacher and Student Friendly. 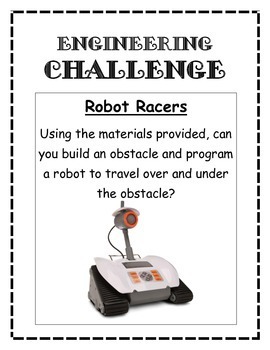 This product includes: Essential Question, Materials, Instructions, Goal, Challenge Rules, Graphic Organizer, STEAM Reflection Page, Discussion and Journal Questions.